Meeting host Cindy Graves and KEYPOCC officers are putting together a full day of POCT presentations, discussions, networking and more for our next meeting Wellspan Gettysburg Hospital. Dr. Norman Moore received his Bachelors Degree in biology and philosophy from Dartmouth College and his PhD in microbiology from the University of New Hampshire. While at Digene Diagnostics, he worked on an assay for human papillomavirus, the etiological agent for cervical cancer. At GeneTrak Systems, he commercialized a test for Salmonella in the food industry. He went to work for Binax where as a senior scientist, he developed the first ever rapid tests for Legionella and S. pneumoniae, both of which are now recommended by the Infectious Disease Society of America for use in severe pneumonia cases. He became the R&D director where he developed tests for diseases such as influenza and RSV. Binax was acquired by Alere, formerly Inverness Medical where he then took on the role of scientific affairs for infectious diseases. He has served on multiple NIAID grant committees, the CDC guideline group for rapid influenza testing, and the Clinical Laboratory Standards Institute guideline committee for point-of-care infectious disease He currently has six patents and numerous publications and presentations. 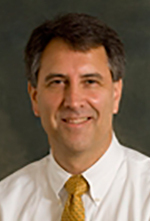 Stephen Manzella, Ph.D., obtained an undergraduate degree in Biology in 1988 and a Ph.D. in Pharmacology in 1993 from the University of Alabama at Birmingham. He continued both research and clinical post-doctoral training at Washington University School of Medicine in St. Louis in the Department of Laboratory Medicine and Molecular Diagnostics. There he was Chief fellow of the Clinical Chemistry fellowship program in 1999. 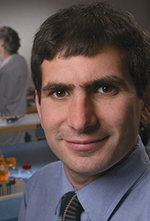 After postdoctoral training, Dr. Manzella was a Staff Scientist at Dade Behring, Inc. in the Division of Clinical and Scientific Affairs and he was responsible for design and evaluation of new clinical immunoassays, instrumentation, and software. In 2001, he joined WellSpan Health and currently serves as the Clinical Director of Core Laboratory, Point-of-Care testing and Support Services. Mike Kulpa, Alere Informatics: RALS | The Power of ONE. The Choice of Many. Bring an example of a dilemma you have encountered in your POC testing program and how you resolved the problem. 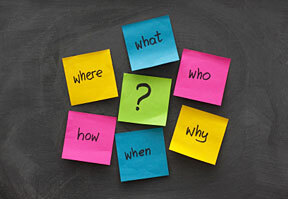 Include charts and documentation you are able to share with the group. 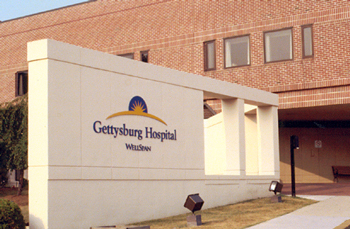 Located in historic Gettysburg, Pa., WellSpan Gettysburg Hospital has been serving the communities of Adams County and northern Maryland for nearly 100 years. WellSpan Gettysburg Hospital began in 1921 as the Annie Warner Hospital, and today it is a nationally recognized acute care community hospital providing patient-centered services and programs that feature highly skilled clinical staff, life-saving technology and modern facilities to address complex medical, surgical and emergency conditions. WellSpan Gettysburg Hospital has received numerous awards and recognitions for its medical care and efforts to improve patient safety and quality, including being named a Pathway to Excellence hospital by the American Nurses Credentialing Center (ANCC), receiving multiple VHA Mid-Atlantic APEX patient safety and quality awards and achieving a Top Performer rating and Primary Stroke Center recognition by the Joint Commission.